NPR describes Jason Vieaux as “perhaps the most precise and soulful classical guitarist of his generation.” I’ve spoken with him multiple times about his recent CD releases and it was a pleasure to have him live in the studio. He’s in Richmond to perform Dan Visconti’s new guitar concerto “Living Language” with the Richmond Symphony this weekend at the Carpenter Theatre. The concerts are Saturday evening (2/4) at 8:00 p.m. and Sunday afternoon (2/5) at 3:00 p.m.
Jason explained to me how he got into classical guitar, how he makes subtle changes in sound color and his collaboration with composer Dan Visconti. Enjoy the interview! 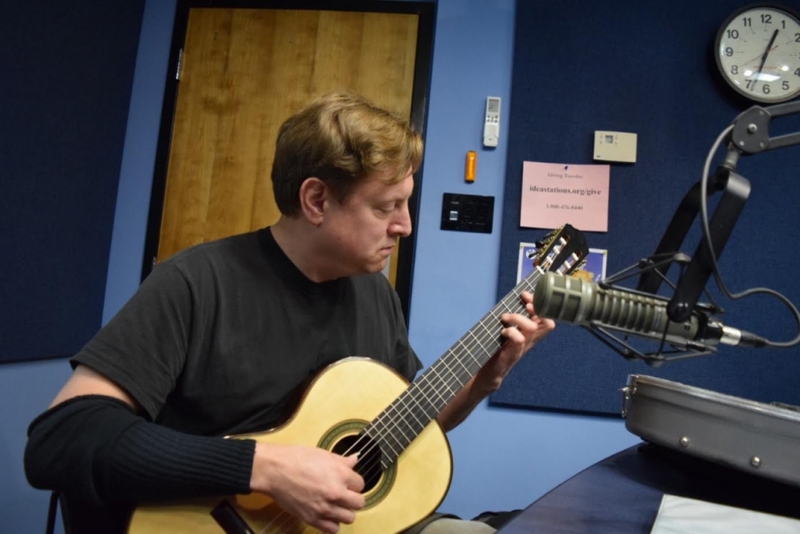 Video Extra: Grammy-winning guitar virtuoso Jason Vieaux played live in the 88.9 WCVE studio with Mike Goldberg. Watch here if video does not load.